Don’t we all love cherries? I’m not talking about the little, red fruit that hangs from a stem. 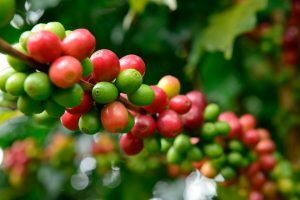 I’m talking about the cherries that live on the inside of coffee beans that create delicious, flavorful cups of coffee. An average cup of coffee uses 70 roasted beans consisting of 35 coffee cherries. These cherries are hand-picked from a tree on a mountain in Guatemala, placed in a plastic bucket, dumped into a sack and loaded onto a mule. From there, the mule travels miles to where the cherry is processed into a pulp, fermented overnight, sun dried for many days and processed in the city. Once this process is complete, the delicious beans travel all the way to the Bagel Bakery and end up in your cup. Our coffee beans travel far and wide to create the perfect cup of joe to start your morning off right. Now, who doesn’t love cherries? Well, aside from being the most mispronounced word at the Bagel Bakery, it is a type of flat, Italian bread filled with flavor. We offer our delicious focaccia in rosemary onion or sundried tomato for breakfast offerings or lunch sandwiches. 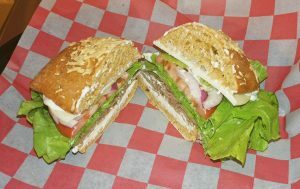 Indulge in this delectable, Italian treat and order a cheese roast beef or turkey bacon sandwich the next time you’re in. And if you want to show off your Italian to everyone you know, bring a friend with you. No one can resist the mouthwatering temptation of cream cheese. Why stick to the original flavors when you can make your own? 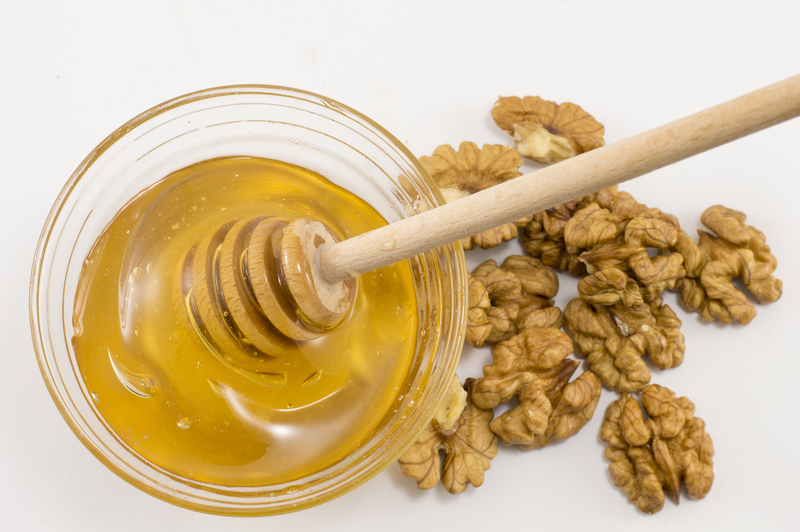 Honey walnut cream cheese is the perfect addition to any Bagel Bakery bagel, you’ll never want to go back to just the regular cream cheese. You’ll want to combine the cream cheese, vanilla extract, cinnamon and honey in a small bowl. Then, you should beat the ingredients in the bowl with a hand-held electric mixer on medium speed until the cream cheese becomes light and fluffy. Next, you’ll mix your walnuts into the cream cheese with a spatula or spoon before spreading your creation on top of your favorite Bagel Bakery bagel! 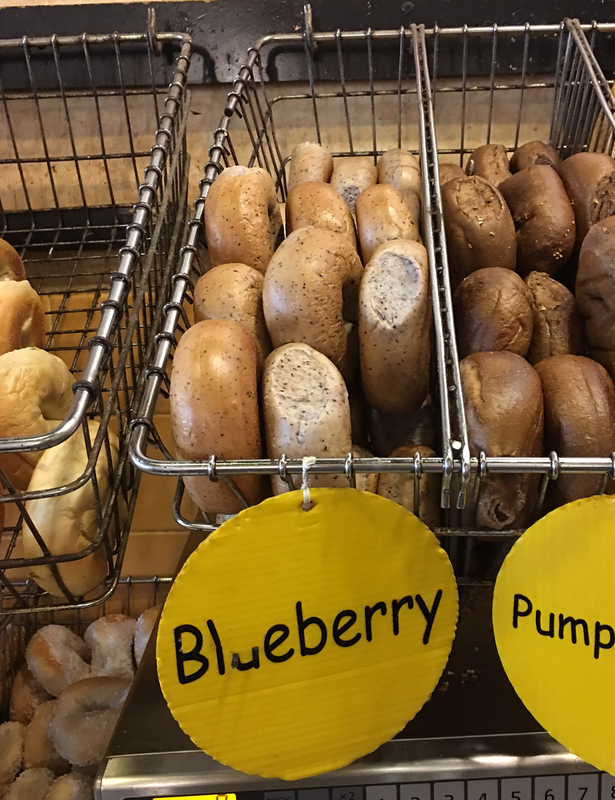 Blueberry bagels are not only a delicious way to start your morning, or mid-day snack, they’re also a great way to put a smile on your face. 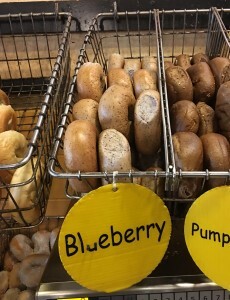 Did you know that a typical blueberry bagel contains 40 percent of your daily value for vitamin D? It also has 20 percent of your daily value for vitamin B6, B12 and niacin. So, you can treat yourself to a bagel while still getting those amazing vitamins and minerals. Blueberries are also filled with greatness themselves because they’re known for reducing belly fat, improving memory and fighting off illnesses. With these awesome ingredients put together in a tasty treat, blueberry bagels might just be what you need to start your day. It’s impossible not to love the classic bagel with cream cheese, but sometimes we need a little change. If you’re a bagel lover who’s looking to spice things up, try some of these delicious concoctions to keep things interesting. Bagel Pizza – We almost love pizza as much as we love bagels, so why not put the two together? Just take a plain bagel, or whichever bagel flavor you’d like, put some tomato sauce, cheese and whatever toppings you’d like on top. Stick it in the oven for a few minutes, and you’ve got yourself a bagel pizza! Breakfast Bagel – You can use your bagel as a bun to fill with eggs, bacon, cheese, or whatever you’d like. 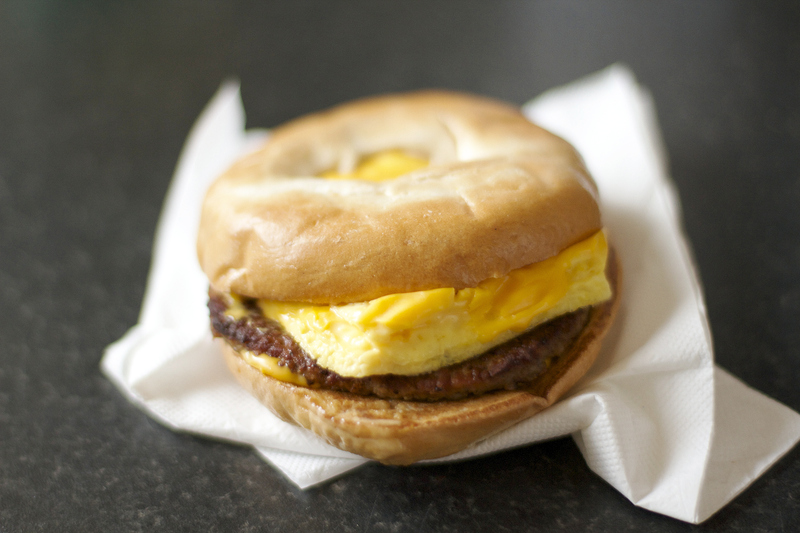 You can make it as a breakfast sandwich or cut up the bagel and make it a scramble! What a perfect way to start your morning. Dessert Bagel – Have you ever tried putting marshmallow fluff on a bagel? Give it a try with some cinnamon or Nutella, and you’ll understand why dessert bagels are all the rage. Salad bagels – Is that even possible? Of course it is. You can cut up your bagel and toss it in with your salad to soak up some of that dressing and add a little something extra to your leafy greens. They’re kind of like soft croutons, but if you’re a fan of the crunchy, you can always toast the bagel beforehand. Bagel Bread Pudding – Bagels are bread too, so they work perfectly for a bread pudding. You can whisk together eggs, milk, sugar, cinnamon, vanilla and nutmeg and pour it over a pan filled with bagel pieces. Just pop it in the oven for about 45 minutes, and you’ve got the best bagel bread pudding around.